Compiled and written by a former Universal Orlando employee, and based upon decades of research from a team whose work has been cited by such diverse sources as USA Today and Operations Research Forum, The Unofficial Guide to Universal Orlando by Seth Kubersky is packed with detailed, specific information on every ride, show, and restaurant in the resort, including insider details on Harry Potter’s Hogsmeade and Diagon Alley, as well as the new Skull Island: Reign of Kong attraction. Step-by-step detailed touring plans allow you to make the most of every minute and dollar during your Universal Orlando vacation. 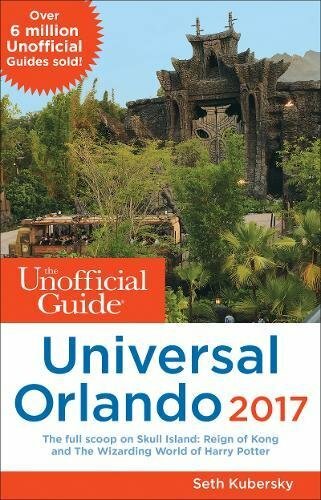 Includes info on where to find the cheapest Universal Orlando admission tickets, how to save big on Universal on-site hotel rooms and skip the regular lines in the parks, when to visit Universal Orlando for the lightest crowds, and everything else you need to know for a stress-free Universal Orlando experience.